Browsing articles tagged with " sprained ankle treatment"
The ankle is a “hinged” joint capable of moving the foot inwards and outwards of the body. It is formed by the meeting of three bones. The end of the shinbone of the tibia and a small bone in the fibula meet a large bone in the foot, called the talus, together they form the ankle. These provide stability to the ankle joints, which function as weight-bearing joints for the body. 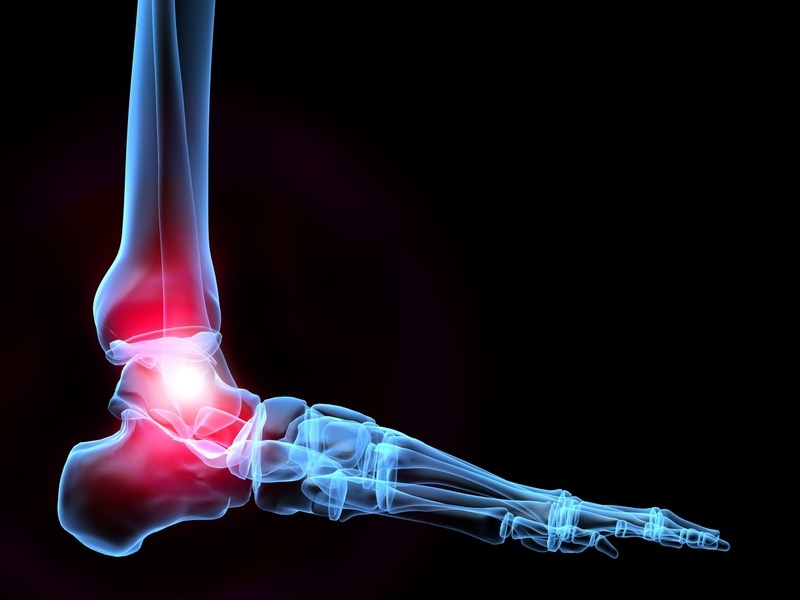 Ligaments on each side of the ankle also provide stability by tightly strapping the outside of the ankle with the lateral collateral ligaments and the inner portion of the ankle with the medial collateral ligaments. The ankle joint is surrounded by a fibrous joint capsule. Tendons that attach the large muscles of the leg to the foot wrap around the ankle both from the front and behind. The large tendon of the calf muscle passes behind the ankle and attaches at the back of the heel. A large tendon of the leg muscle passes behind the medial malleolus. The normal ankle has the ability to move the foot from the neutral right-angle with the help of those powerful muscles located in the front and back portions of the leg. These muscles contract and relax during walking. Ankle is the joint where your foot and leg meet which is an form by a network of bones, ligaments, tendons and muscles. It is strong enough to endure your body weight thus your ankle is very prone to injury and pain. The pain may reside in inside or outside of your ankle or along the Achilles tendon, which connects the muscles in your lower leg to your heel bone. Because ankle pain can sometimes indicate a serious problem, severe ankle pain should be evaluated by your doctor, especially if it follows from an injury. Ankle pain symptoms may arise from the problem with the structures in your ankle which includes the bones, cartilage, ligaments, tendons, blood vessels and surrounding muscles. Traumatic causes of ankle causes fractures of bone, tears and sprains of the ligaments, damage to the tendons and cartilage of the joint. Injuries may be sudden such as a twisting injury of your joint or a direct impact to your ankle. Ankle pain can require emergency care, and even a sprain may be accompanied by a more serious injuries to your joint. Symptoms such as paralysis, loss of sensation, absent pulses in your feet, the inability to move your ankle, severe bleeding, high fever or uncontrollable pain. If your ankle symptoms persist or cause you concern, seek prompt medical care. Self-Diagnose can bring more harm than treating it. It is good to know more about the injury but definitely not to the point of self-treatment. It will be much safer to get treated by Our Doctor, for more information or to book an appointment with Singapore Sports and Orthopaedic Clinic, you can call (+65) 6475 8011 , the hotline is open 24 hours. You may also send us an enquiry for for Ankle Pain or for an appointment or question about ankle pain.